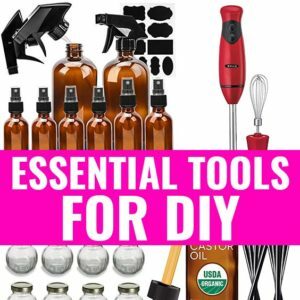 9 Beauty Benefits of Carrot Seed Essential Oil for Skin & Hair - beautymunsta - free natural beauty hacks and more! If there’s one beauty oil that should definitely be in your beauty pantry, it’s carrot seed essential oil. It’s one of a kind since it has gorgeous beauty benefits! Carrot seed essential oil (where to get it) is derived from steam distillation of carrot seeds of the Wild Carrot plant. Its scientific name is Daucus carota. This plant is also called Queen Anne’s Lace and can be found littered along roadsides, which is why some people consider it a roadside weed. If only they knew that this weed’s seeds actually have a lot to offer for beautiful skin and hair! Anyway, beauties, let’s look at the ingredient profile of this gorgeous oil below. 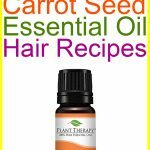 Then we shall see 9 fascinating beauty benefits of carrot seed essential oil! Carrot seed oil is also known as carrot seed essential oil, wild carrot seed oil and Daucus carota oil. The wild carrot plant is mostly found in Europe. The oil has a golden orange color. It has an earthy, woody and warm smell. Carrot seed oil has a thin – medium consistency. Avoid during pregnancy and nursing. Do not use on children, babies and pets. Always dilute it before use: add 2 drops for every 1 tsp of base ingredient/carrier oil. If you have any health complications, consult a doctor before use. Do a patch test on your inner elbow/wrist before using this oil. To do this, simply mix up 1 drop of carrot seed oil in 1 tsp of olive oil and apply on your inner elbow. If there’s no irritation, then the oil is safe for use. 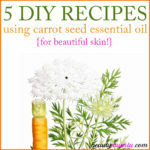 One of the major beauty benefits of carrot seed essential oil is its ability to rejuvenate skin. It has a high carotol content which rejuvenates dull skin cells and breathes a new life into them. Make a skin rejuvenating face mask by mixing up 1 tsp bentonite clay, 1 tsp aloe vera gel and 2 drops of carrot seed oil in a small bowl. Apply with a face mask brush and keep on for 10 minutes. Rinse your skin with warm water and marvel at how refreshed it looks! 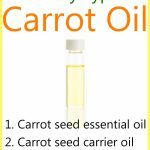 Carrot seed oil is an incredible anti-aging essential oil. It’s very useful for preventing premature wrinkles and fine lines. This is because it is rich in caretenoids which are powerful antioxidants. Antioxidants fight off free radicals, that are the main cause of premature aging. Both dry and oily skin types can be balanced out using the power of carrot seed oil. It naturally regulates the skin’s sebum production, which prevents too little or excess sebum on the skin. Sunburns can be extremely painful and damaging to the skin. Carrot seed essential oil is actually a very good sunburn soother. It has skin healing properties that restore damaged skin cells and promote cell renewal. Mix up 5 drops of carrot seed oil to ¼ cup of aloe vera gel and smooth this over your sunburn. Got dull and lifeless looking hair? You need some carrot seed oil in your life! It can be added directly to your conditioner bottle for a boost in hair shine and moisturization. Simply add 6 drops of carrot seed oil for every 1 tbsp of conditioner. 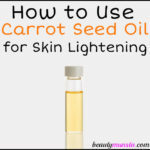 Another die-for property of carrot seed essential oil is it’s skin brightening effects. If your skin is dull and looks tired, try applying a few drops of carrot seed oil. Make a skin brightening night serum by mixing in an 2 oz amber dropper bottle: 2 tbsp of argan oil, 7 drops of carrot seed oil and 4 drops of lemon oil. Use 3 drops on your face and neck at night time before bed. This serum is safe for oily and acne prone skin types. Rosacea is characterized by redness and inflammation. Carrot seed essential oil is known to powerfully reduce inflammation. Simply add a few drops to your moisturizer and apply on your cheeks or rosacea affected areas. Looking to lighten your skin tone? Then you must try the combination of carrot seed oil and lemon oil. Both are excellent skin lighteners in the world of essential oils. One of my favorite recipes is a skin lightening cream that I like to use at night time. Simply mix up 1 tbsp of shea butter with 2 drops carrot seed oil, 2 drops lemon oil and 2 drops frankincense oil. Use a sliver of this cream on your face nightly to benefit from its lightening effects. Carrot seed oil is also a good skin toning and tightening agent. It can be used to minimize large pores and tighten up sagging skin. To tighten skin, try applying ½ tsp of jojoba oil (which is a ‘dry oil’, perfect for skin tightening) and 1 drop of carrot seed oil on your face. Always ensure you invest in 100% pure high quality essential oil. Look for the word ‘essential oil’ on the bottle when purchasing. Carrot oil without essential means the oil may contain other additives including unwanted fragrance and mineral oil. 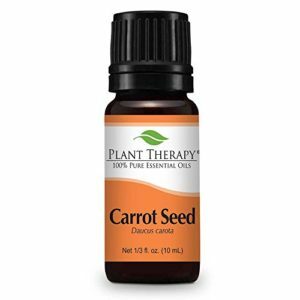 I recommend 100% pure carrot seed oil from Plant Therapy. So those are the beauty benefits of carrot seed essential oil! 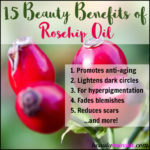 Are you planning on using this wonderful oil for your skin?